Confidence! Smooth and soothing skin a special feeling. Skin is the most outer part of your body. Everyone, who looks at you will see the skin. Awareness about the skin care is most important. An appealing and smooth skin enhances your personality. Strictly professional & Dermalogica are the products, we use with full confidence for the desired results. It makes you more beautiful and provide an appealing look. Your skin tells a lot about you. Nobody wants to have tired looking skin. We all want to have good skin. Most of all we want to have change your skin to glowing, blemish free and healthy. At Beauty by Sandy we provide various skin treatments that will help you achieve the look that will get you noticed. We offer a range of skin treatments. Some of them are listed below for more information please contact us. Facial treatments leave your face skin fresh and revitalised. Steam, blackhead and whitehead removing is the part of some treatment and even you can ask a special custom treatment for your own requirements. There are many other services like threading and tinting, face waxing are available with us. Our professional aesthetician analyses your skin and discuss that what you are looking to achieve in the visit and then plan an appropriate treatment to achieve the goals you described. Our most customary facial treatments are Express facial, Deep cleansing, Golden Glow facial, Anti-ageing treatment and Vital Eye treatment. The Facial treatment that provides you an attractive and graceful skin is known as Golden Glow Facial. Glowing skin with a golden tint makes others to think. Everyone notice unique appearance. Its impact gets doubled with anti-aging treatment. Skin peel is a great solution for acne, sun damage, pigmentation, fine line and wrinkles, scaring as well refreshing thick, tired and dull looking skin. It is a simple treatments, safe, non invasive and unbelievable effect. 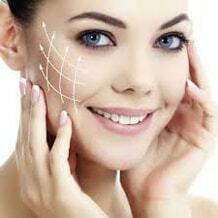 In skin treatments, there are various type of treatments that refresh your skin. Use of exfoliators is the gentlest wayto refresh the skin. It works on the top layer of the stratum corneum, the epidermis and removes the dead skin cells revealing the new, healthy skin below. These are topical with no down-time. Resurfacers, also referred to as mild peels. These are superficial treatments. They work on the very top layers of the epidermis. these are composed of enzymes and acids that refine and exfoliate. Generally, resurfacers have little-to-no downtime following the treatment. Skin peels is a chemical treatment. It treats the top layers but also penetrate the mid to lower levers of the epidermis. Such treatments deliver stronger and extended results. Chemical peels are so active and deeply penetrating so there is an expected downtime of up to 10 days.